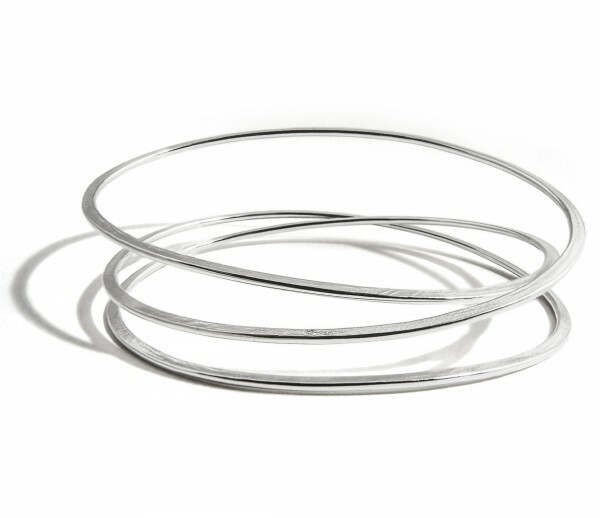 A hand-forged oval of beaten silver, twisted cunningly in a way only we know how, to give the illusion of three, separate bangles. 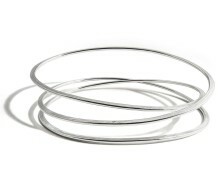 Its a multi-bangle effect, with no noise. 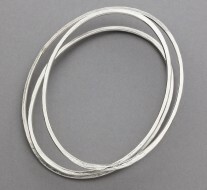 A contemporary, designer bangle. 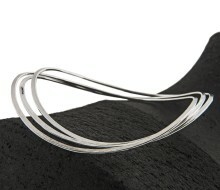 But its not just clever and beautiful: its ergonomic - unlike most bangles, it's shape echoes the shape of your wrist, so its easy to wear too. 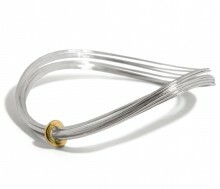 Hammered shiny texture on one side and a soft-textured satin finish on the other. 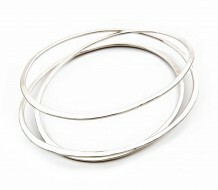 Say hallo to Latham and Neve's gorgeous new fangled no-jangle bangle - three bangles for the price of one! So buy one and show it off! 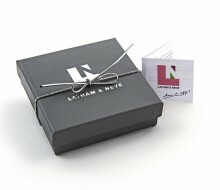 Assume all good then - thank you!